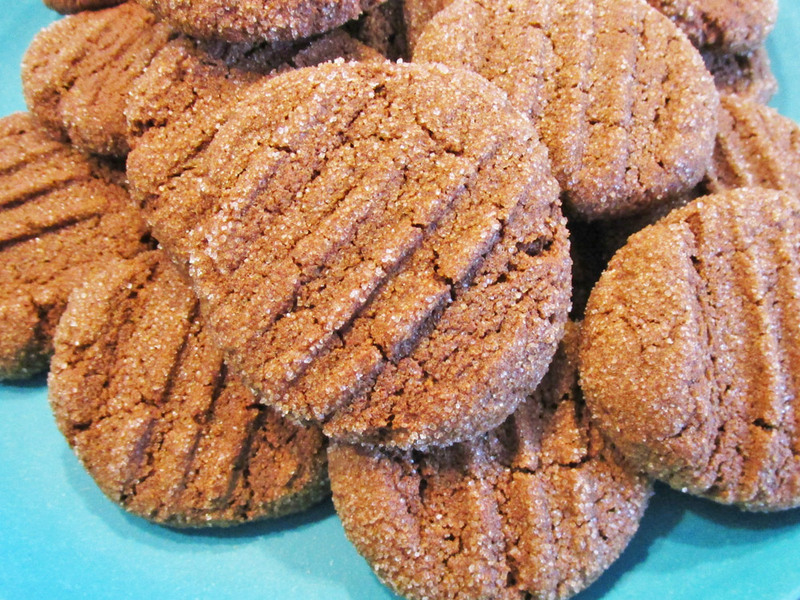 The Best Damn Gluten-Free Ginger Snaps. Ever. I've been eating (mostly) gluten-free for about four years now. It all started after I had my daughter. During pregnancy, I had three basic cravings: vanilla (steamers, milkshakes, pudding), french fries (McDonald's) and saltine crackers (Premium Plus). In fact, during my first trimester, I gorged myself on anything and everything wheat-based. By the time my baby was born, I was back to eating in a healthy, balanced way. But, I had developed a penchant for breads, cookies and crackers. After suffering from stomach aches, bloating and rashes, I decided to cut wheat - and eventually all foods containing gluten (including rye and barley) - from my diet. The results were enough to keep me on a path paved with rice, tapioca and potato starch. However, finding ways to indulge in the flavours and textures I had grown to love was not so simple, especially given my daughter's nut allergy. 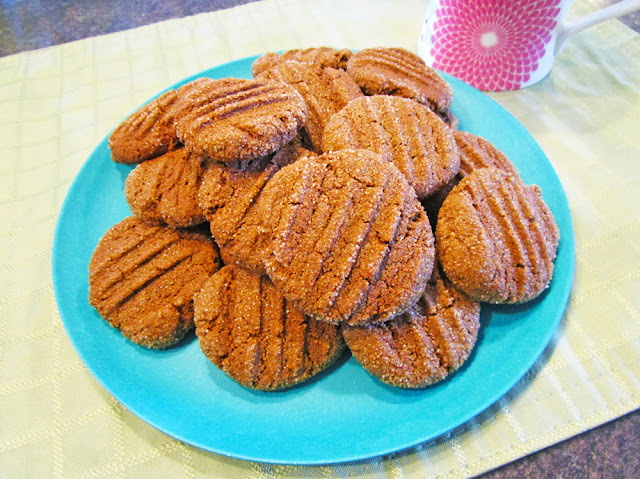 But, I persevered and in the process developed a number of delicious (and safe) recipes. Like this one. *I have determined the ingredients used to be safe for my daughter (who is allergic to tree nuts but not to peanuts). However, if you have concerns about allergens, I recommend that you ALWAYS contact the company producing the ingredients you use to determine whether or not they are safe for you and your family. -->Hand mix remaining dry ingredients in another bowl. 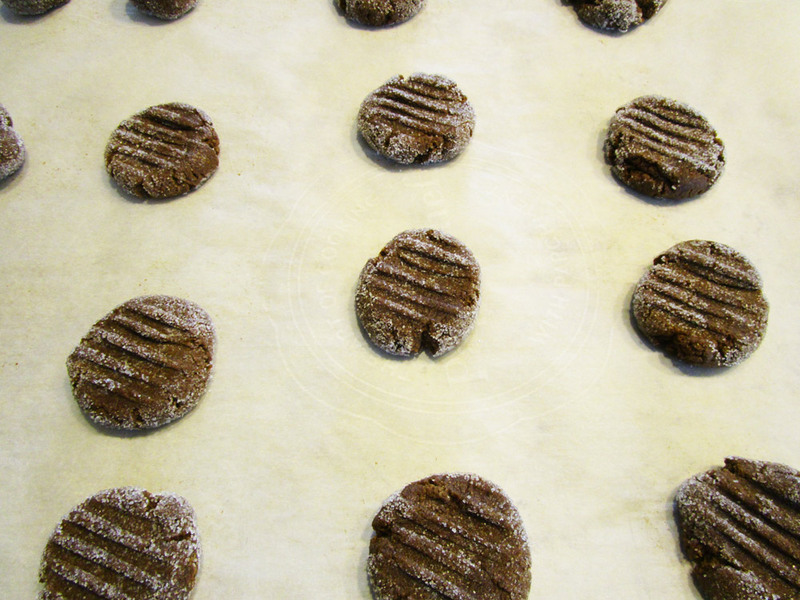 -->Combine wet and dry ingredients thoroughly. -->Using your hands, roll into small balls about 1" around. 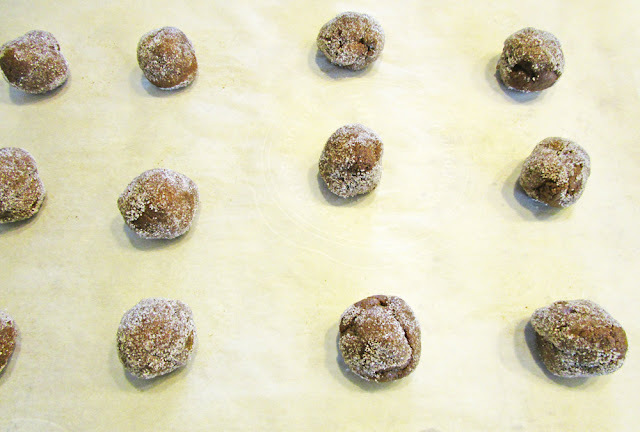 -->Roll the balls in white sugar and place on a parchment paper lined cookie tray. 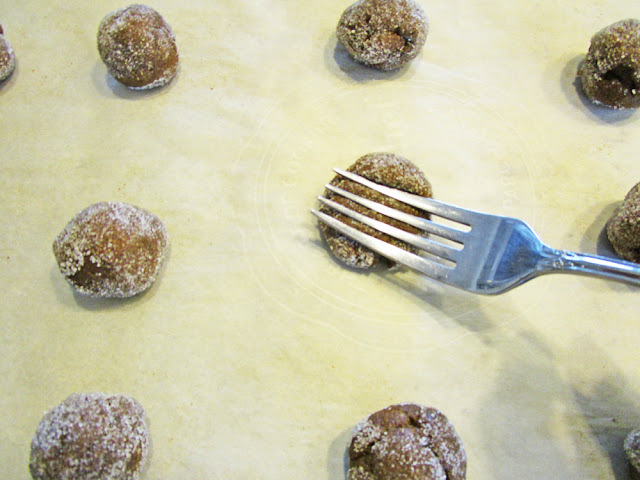 -->Press each ball lightly with a fork. Like so. (This sentence is guaranteed to draw some unwanted attention to my blog). -->Bake in the oven at 350 for 8 to 10 minutes. This post is NOT sponsored by anyone. I just happen to love the products mentioned - almost as much as I love chocolate.